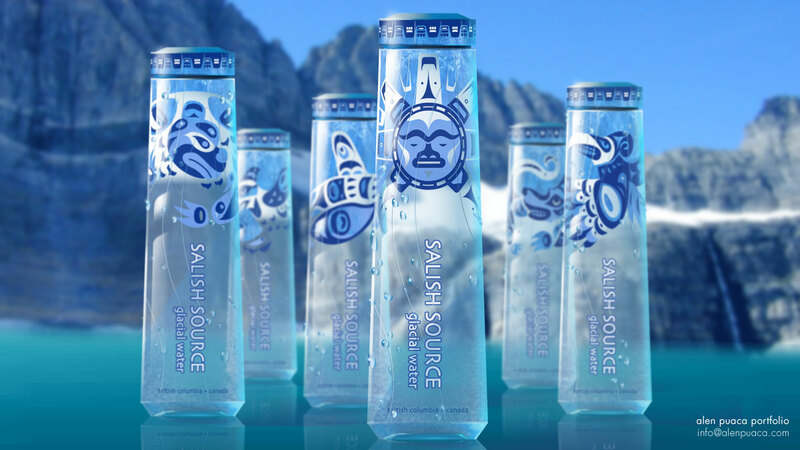 Package concept for upscale spring water. Rendered in Photoshop. First Nations’ designs are quick and free interpretation of West Coast First Nations art, that was eventually supposed to be replaced with more authentic designs. Unfortunately, this is a non realized project so the designs are not completed.